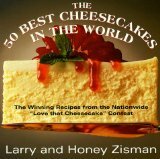 How many different New York Cheesecake Recipes are there? Well, after researching New York cheesecake recipes for the majority of the day, I've come to the conclusion that there is definitely more than one. That said, the original New York Style Cheesecake Recipe comes from an historic diner in New York City....Lindy's, originally located in the heart Broadway. What seems to distinguish this cheesecake from others is its shortbread crust. And if the recipe looks long and complicated it really isn't. Just follow the step-by-step instructions and you'll be rewarded with a rich, creamy and distinctive dessert. Thanks go out to Alida for lending her amazing picture of her New York Cheesecake. See what she has to say and view her recipe or log on to her website. If you've got your own version of New York Cheesecake Recipes please share it with us by clicking here. Preheat oven to 400°F. Lightly grease a 9-inch springform pan. Whisk the dry ingredients together by hand or in a food processor. Blend in butter using a fork or process until the mixture resembles course crumbs. Add the egg yolk and mix or process until the dough forms a ball. Press about 1/3 of the dough over the bottom of the pan. Prick the dough all over with a fork and bake until the crust is lightly golden brown (10-15 minutes). Cool completely on a rack. Press the remaining dough around the sides of the pan, making sure that the dough is attached to the bottom crust. Brush the bottom and sides of the crust with the egg white. Refrigerate the crust until you're ready to use it. Preheat the oven to 500°. All ingredients should be at room temperature. Beat the cream cheese in a large bowl until it is creamy. Gradually add the sugar and flour and beat for 1-2 minutes. Beat in the lemon zest and vanilla. Beat in the eggs and yolks one at a time. Beat in the cream. Pour the batter over the crust and smooth the top. Bake for 15 minutes at 500°. Then reduce the temperature to 200° and bake for 1 hour. Turn off the oven and open the oven door, but leave the cake in the oven. Let the cake cool for 30 minutes. There you have it...one of many New York Cheesecake Recipes! 1) all your ingredients should be at room temperature! 2) combine everything on low or medium speed (do not over mix)! 3) running the tip of a sharp knife around the top edge right after baking, plus cooling to room temperature before refrigerating will keep the cake from cracking. 4) If you follow these tips I guarantee that they'll work!